Throughout the Spring of 2016 I worked as a creative executive for Creative Ink. With my partner/account exec. I co-developed the logo, name, and brand identity for a new renovation and construction consulting firm for a client in Columbia, Missouri. Worked with the client to develop a name and brand identity that fit his company’s personality. After completing this process we had brainstormed 12 names, but decided on Exsor the combination of Expert and Advisor. 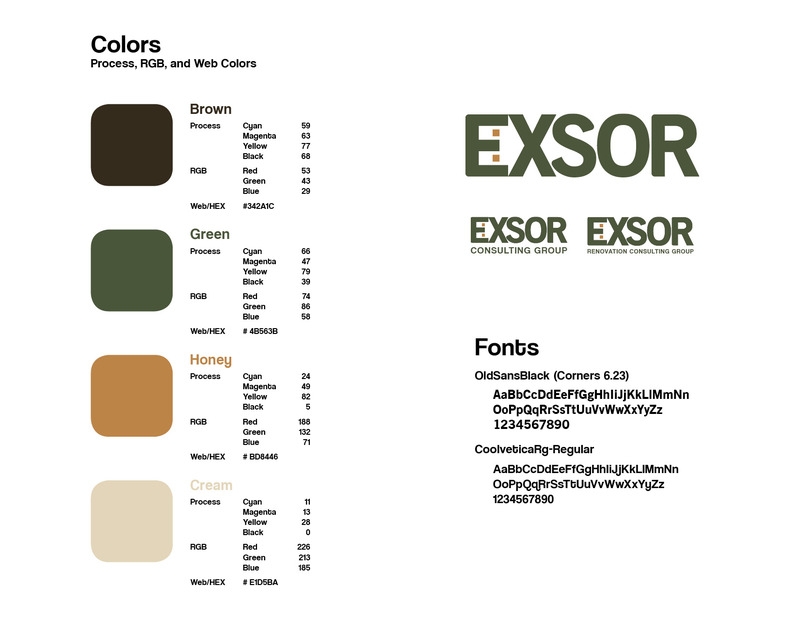 From there we offered four logos using different color palettes and lettering combinations. We selected the logo you see above in order to visually convey the confident professionalism and integrity our client had always shown throughout his career.